On the heels of the United Against Hate posters made by Wolff and graphic designer Lexi Visco in 2017, new VOTE! 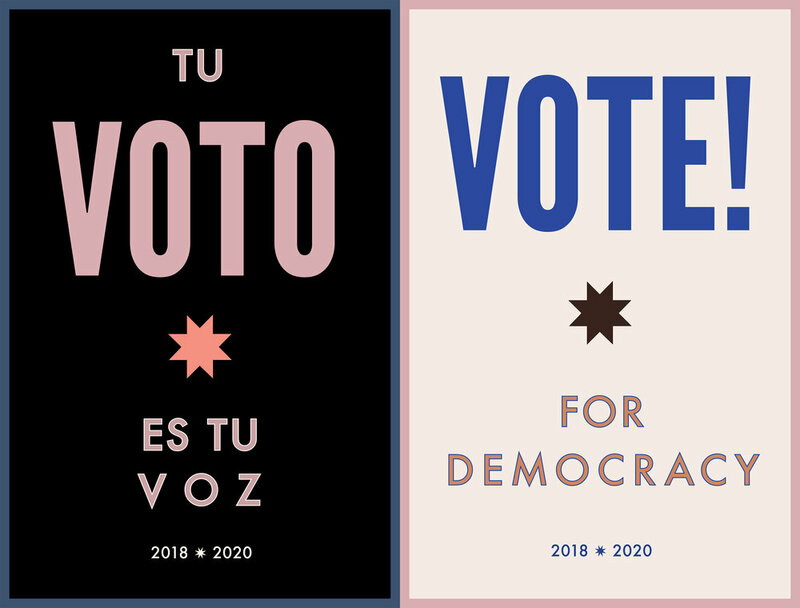 posters were generated by the duo with funding from a Civic Arts grant from the City of Berkeley to encourage greater voter participation in the 2018 midterms and 2020 elections. 20,000 copies of the posters (with versions in English and Spanish) were printed by Autumn Press in early October 2018 and sent to over 13 states with funds crowdsourced for shipping. The posters are visible in windows across the country and free pdf files are available at www.yourvotecampaign.com for download to print from home or send to a printer individually.